August has 5 Tuesdays and we have a lot of energy, so at our last meeting we decided to have an extra meeting on the 30th. Usual time and place: 6:30pm at HIV Ireland’s offices at 70 Eccles St., Dublin 7. There’s also a Facebook event page, of course! There’s a great interview with our own Robbie Lawlor that was just published at a new blog by Stephen Moloney called masc. We’re delighted to be mentioned in it as well! Our next general meeting will be Tuesday, August 16th. We’ll meet at the usual time and place: 6:30pm at the offices of HIV Ireland at 70 Eccles St., Dublin 7 (across the street from the Mater Private Hospital). We will be discussing specific actions we want to pursue in the coming weeks and months. Bring your ideas and energy! As always, this meeting is open to all. Please feel free to share our event page on Facebook. 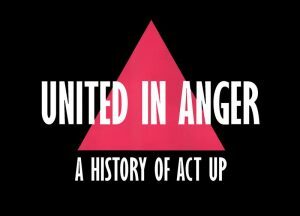 Some of us from ACT UP Dublin will be screening the documentary “United in Anger: A History of ACT UP” on Thursday the 4th of August. The screening will be followed by a discussion of HIV activism in the past and in the context of the HIV crisis in Ireland today. The event runs from 7 to 10 pm and will be held at the Violet Gibson social centre at the Grangegorman squat. If you can’t make the screening, the entire film can also be viewed on online here. We have regular meetings at 6:30pm on the 1st and 3rd Tuesdays of the month. We meet at the offices of HIV Ireland, located at 70 Eccles Street, Dublin 7 across from the Mater Private Hospital. Our meetings are open to all. If you’re interested in getting in involved but can’t make it to a meeting please get in touch with us. This page is not regularly updated so please visit our Facebook page for announcements about current activities and events.